Sanborn Regional High School was one of two New Hampshire Schools chosen to host the Ford Driving Skills for Life Program this fall. The full program was open to all Sanborn students with valid NH Driver Licenses. Space was limited to 80 students on a first-come, first serve basis. 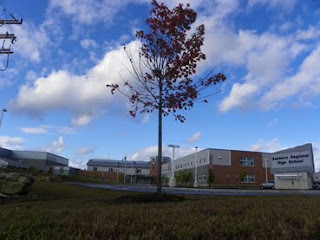 The program ran in ninety minute sessions during the school day on Thursday, September 22, 2011 at the high school. This past week, 9th grade SRHS Social Studies teacher Brian Gray and I were asked to participate in a “think tank” in Washington DC. We were invited by Deputy Commissioner of Education for New Hampshire Paul Leather. Our invitation came as a result for our school’s recent work over the last year in high school redesign and our school’s efforts to better meet the needs of our students with instruction that focuses on higher levels of learning and assessments that are competency-based. We were honored to attend and represent our state. For us, it was an opportunity to see where Sanborn is nationally on the high school redesign spectrum. It was also an opportunity for us to actively participate in the discussion and planning of what needs to happen next in our country to help better prepare our students to compete globally. Good Morning Parents, Students, and Friends of SRHS. 1. Tonight is our open house, from 4:30-8:00. I have attached two flyers with more information on this event. One flyer is for students in the Freshman Learning Community, the other is for all other students grades 9-12. 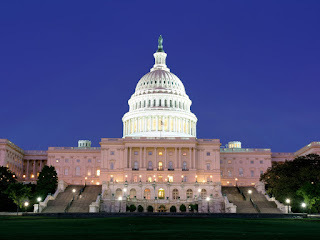 I will be thinking of all of you while I am in Washington DC that night. I'll report out on my time at the "think tank" next week. 1. Thank you to all who attended my first Parent Advisory Council (PAC) meeting of the year. We had some great discussions. Next month we will focus on the guidance curriculum, and members of the guidance staff will be on hand to answer your questions. The meeting will be held October 5 in the library from 6-7pm. 2. Our annual open house will be held next Monday evening September 19th from 4:30-8:00pm. I have attached the flyers that went out in the mail last week to you with your child's schedule. I hope you will come out next week to meet your child's teachers. I hope you had a fantastic Labor Day weekend. At the Stack household, it was a time to visit with family and friends and finish up some lingering projects around the house. 2. I will hold my first Principal's Advisory Council (PAC) meeting this Wednesday from 6-7pm in the library. The topic of discussion will be -- What is new at SRHS? Please come by!